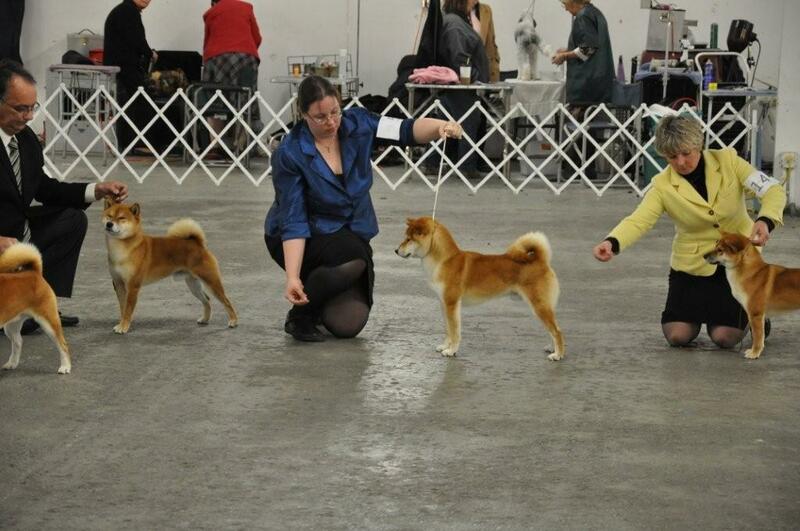 Ike and I attended the Whidbey Island Kennel club show last weekend. There were 12 entries I believe. 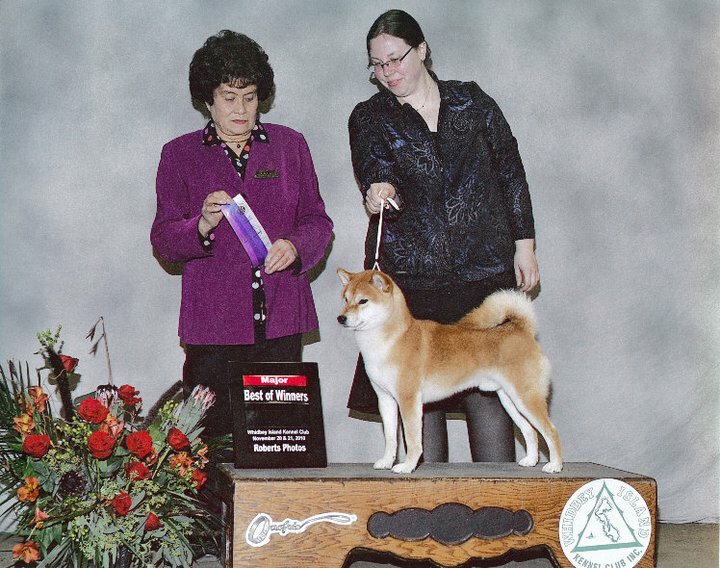 the first day we worked out our jitters, and he was awarded Winners Dog for a point. Day two was much better for us, and he was awarded Best of Winners for his first Major! Good boy Ike! Judge Sandy Wheat awards Ike BOW for his first major. Congrats!! Your dogs give you lots to brag about :)You must be so proud! Thanks! He is starting to blow coat now, so it doesn't look like I will get that Christmas Champion I was hoping for, but a New Year Champion will be just as nice.